If you suspect that you have a problem with your sewer line, you need to get it repaired as soon as possible to avoid the problem becoming worse. It is not always easy to determine if you have a problem with your sewer line or not. 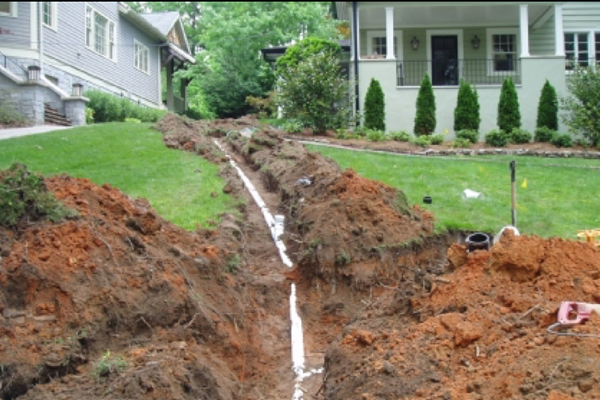 If you suspect a problem with your sewer line, you should get ahold of us right away to perform a video sewer inspection. Our technicians will treat your home like if it were ours, resolving all of your questions and issues. In the past, the only way to determine if a sewer line had a problem was to actually dig into the ground to physically inspect it. This was very inconvenient, and it caused a lot of ugly damage to yards. Now, we use a video inspection process to inspect the line with a video camera. The camera is inserted by our technicians into the sewer pipe from a convenient access point, and it can then be maneuvered the entire length of the sewer pipe. The video is fed back to a monitor that shows the pipe in high definition. This allows the technician to determine what the nature of the damage is, and to draw up the best plan of repair. What Are Signs That I Have Sewage System Issues? A backed up sewer line also indicates a problem with your sewage system. A backed line could be caused by a root growing into the pipe or grease clogging the pipe. Another indicator that you may have a problem is discovering a patch of your yard suddenly growing out of control. If the sewer pipes underneath the yard are leaking, the release of the sewage will inject an excess of nutrients into the soil that will cause the grass to grow more quickly. When we come out to perform a video inspection of your sewage system, one of the first things we will do is locate the nearest sewer cleanout. The sewer cleanout is a capped pipe that is designed to allow access into the sewer line. We can go into the sewer cleanout with cameras, allowing us to visually inspect your entire sewage system without doing any damage to the yard. When you work with us, you don’t need to worry about getting a bill bursting with hidden fees and extra charges. Our prices are very straight forward, competitive and affordable. Need to make a major purchase? Keith the Plumber also offers everyday flexible financing for those who qualify. Call us today to schedule your next appointment.h our friendly, knowledgeable staff, call us now at (205) 383-8831.